The Winning Letters from the ‘Letters Home’ Competition 2016! On 1st March 2017 the names of winners of Poppyscotland’s national schools competition were unveiled from an entry list of more than 1,000 schoolchildren. Our Letters Home Competition 2016 was an opportunity for school-age children to reflect on what life was like for soldiers fighting in the Battle of the Somme 100 years ago. 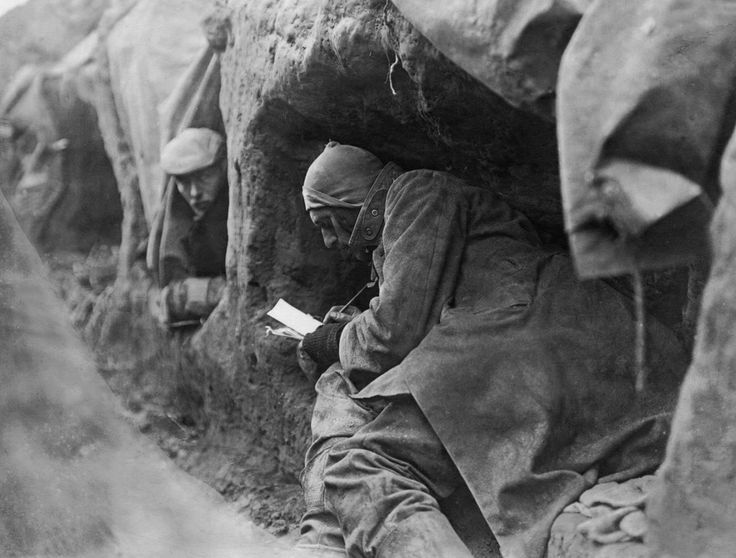 They were invited to write their own letter home, describing life in a trench during the battle and their thoughts on war, while considering the effect these words would have on their families. 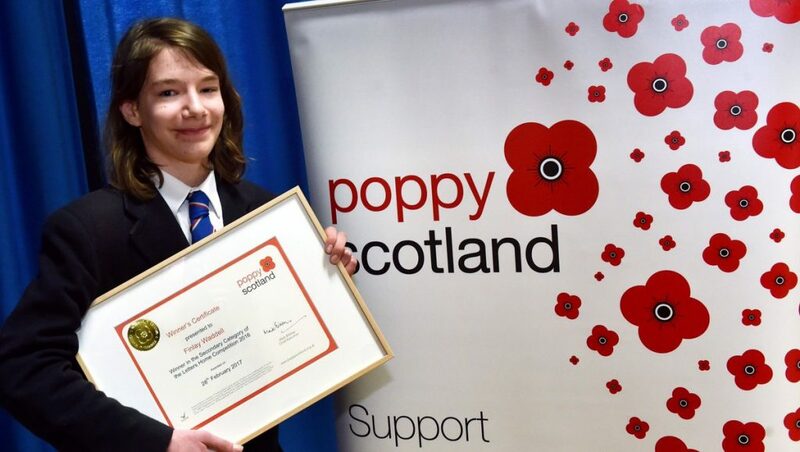 There were two categories – Primary School and Secondary School – with Poppyscotland receiving 1,048 entries from 46 schools across the country. Every year Poppyscotland provides schools throughout Scotland with a wealth of resources to support learning around Remembrance and the vital work of the charity today. As part of that, Poppyscotland runs a competition every year focusing on one of the Learning programme’s key themes. This year, the winner in the Primary School category was Rowan Harbottle, a Primary 5 pupil at Portpatrick Primary School, in Dumfries & Galloway and the winner in the Secondary School category was Finlay Waddell, a third year pupil at Aberdeen Grammar School. Both Rowan and Finlay each received a tablet computer, a framed official Poppyscotland Winners Certificate and their ‘letter home’ will be printed on a Poppyscotland Learning poster that will be sent to more than 2,000 schools in Scotland later in 2017. Finlay proudly holding his official Poppyscotland Winners Certificate. Photo Credit: Jim Ryder. 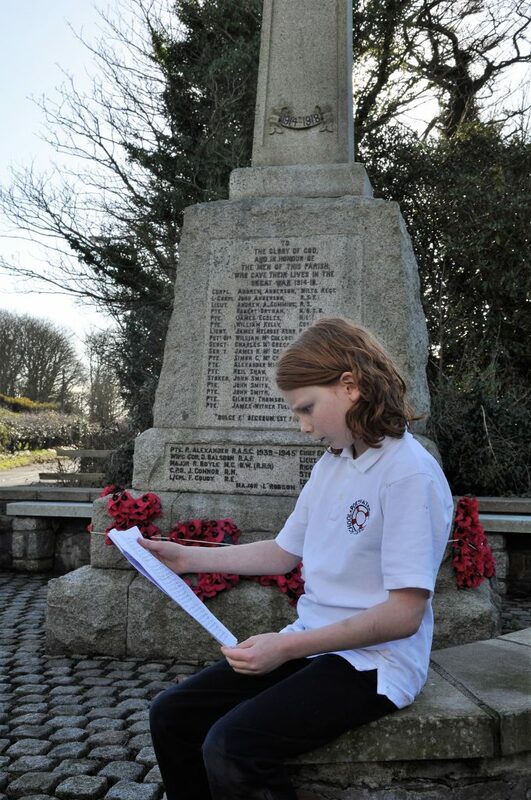 Rowan reading his winning letter home in front of the Portpatrick War Memorial. I am glad to be writing this letter to you. I am alive and well, which is amazing because two days ago we went over the top. I was completely terrified. I could almost smell the gunshots. I hid behind a wrecked horse cart and just shot at the enemy. If we don’t want to go over the top, we will be shot by our own firing squad. But, please don’t let this worry you I am fine on the inside. At night I can always see star shells lighting up No Man’s Land to see whether anyone is sneaking across. I can see all of the mud and stagnant water. I am sitting in the revolting mud all around me. There is jagged barbed wire all around the top of the trench. I have just returned from going over the top and I am a very lucky man. When I was up there I saw the debris of the rotting horse carts, squelching mud and bomb pits. There are rats everywhere and I hate it. Every single day and night all I can hear is BANG, BANG, BANG and explosions. Some of my friends have bad hearing and some have completely lost theirs. All of this is caused by loud gunfire and explosions. When we are fighting in the day I can hear the enemy’s bullets going into the mud. There are always men coughing. There are also men scratching, cursing and crying. 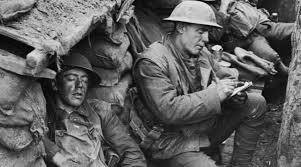 Daily life in the trenches is basically: you get up, get dressed, do not go to the toilet first thing in the morning and fight. In our spare time we play cards, draughts and chess. I can’t get the taste of mud and soil out of my mouth. The food is horrible. The corned beef is tasteless. The only other things that we get to eat are bread and biscuits. A little while ago one of the horses died and we turned it into a lovely hot stew. My hands are sore and cracked from the cold. I also have blisters on my hands and feet. To try and soften up our boots we wee on them. My fingernails are unbelievably dirty because we don’t really get a chance to wash them. I am so cold that I can’t feel some of my body. The cold is making me sore. Please don’t let this worry you because on the inside I am ok. I am extremely tired. The bags under my eyes seem to go on forever. I am so tired because all of the explosions and gunfire everywhere, keeping me and other soldiers up. To keep my spirits up I am always thinking about you, waiting for the day that I get to see you again. If I survive. I really miss Erin’s funny drawings. The one with the rabbit and Dad, Mum, me and her. Please send one next time you write to me. Does Erin speak about me at all? How is Erin getting on at school? How is that counting getting on? Can Erin count to twenty yet? It has been a pleasure writing to you and receiving your letters from home. Am I too audacious to suggest that your disability is a gift? Your life bereft of a leg, but at least you aren’t out here. I saw my first real warfare today, and I daresay I’m the worse for it. I have to say I’d rather still be bayonetting straw Germans. Fritz in the flesh is much scarier. Our plan was simple, but it failed utterly. There was a time that a week of artillery bombardment was enough, but when we went over the top, their numbers were barely depleted. They just mowed us down with their machine guns. The first day, and already it seems the dead outnumber the living. Perhaps the censors will stop this from getting through to you. Perhaps there aren’t any left. I wonder if they know what it’s like, a league and more away in the command trench, dug in behind four ranks of wire. It must be so much easier to send other men out to the front. The trench itself could be improved. Most temporary homes look less like slurry pits. Most temporary homes have a roof…Food’s a little wanting too. Hard biscuits, old jams, and the infamous Maconochie stew. Occasionally, you’ll be lucky, and your food won’t have taken a dozen mud balls before you get it. Not that it would help – my mess tin has turned an unsettling shade of brown cos of the mud. Stuff’s everywhere. Please check on Ma and Pa for me, and best of luck with this year’s harvest. I’d imagine this battlefield would have been covered in farms just like yours before the war. Now, you can see more trench foot red than green. For what I hear is the third year running, they say “it’ll be over by Christmas”. A Christmas at home would be truly magic and I can only hope. P.S. Be sure to tell Mother that I’m doing great. I don’t want to worry her.